Young African Entrepreneurs at the on-going World Export Development Forum have called for the need to ease access to funding and breaking down of regulations impeding them to undertake businesses on the continent. Speaking during the session, Youth Unconference, Imagine a World with No Borders, a panel of youth entrepreneurs cited inadequate funding and in-country regulations as some of the barriers making it difficult for them to succeed in doing business. Ms. Stella Rukayi, Co-founder of Plan Store Business Solutions-Zambia observed that there is need for governments to do more in ensuring that young people going into businesses do not encounter obstacles. She said funding continues to be one of the major problems most youths cites in executing their ideas. Mrs. Rukayi also called for the need to strengthen systems of funding to bridge the gap of reaching out to businesses operated by youths on the continent. And Mr. Momarr Taal, Chief Executive Officer of Tropingo Foods from Gambia stated there is need to do more by African governments to ensure young people operate effectively. He said it is not right that countries continue to differ on regulations making it hard for young entrepreneurs to trade. Mr. Taal said whilst youths continue working hard, governments should ensure the playing field facilitates their growth. The Gambian youth entrepreneur also called for the speeding up of easing border regulations for free trade areas to be meaningful. He said the vision of having open trade borders is a welcome move which must not be hindered by government interests. 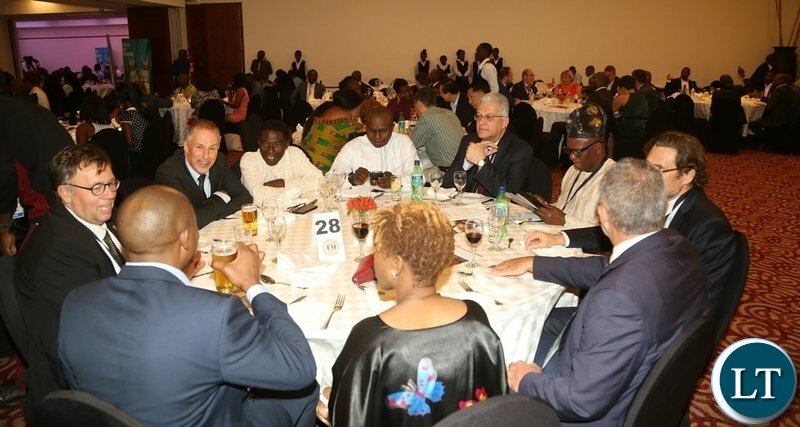 And a visiting fellow from Stanford University under the Centre for African Studies, Professor Landry Signe’ described the ongoing forum as an opportunity where business entrepreneurs should share with the world their concerns. Professor Signe who urged young people to look beyond barriers if they to succeed also stated that governments are already doing enough and it that it is important young entrepreneurs continue working hard. He further observed that Africa is already providing a huge market which must not be ignored but taken advantage of. Zambia is this year hosting the Word Export Development Forum whose theme is ‘Scaling Up through; Skill-Innovate-Connect’ at Mulungushi International conference. The conference is running from the 10th to 13th 2018, and has attracted 600 delegates from all over the world. SERIES 2: IMPEACHMENT MOTION – Did Government break financial regulations and the law on the monies from Mukula logs?